Samuel L. Jackson is returning as “Shaft” in a reboot coming out this summer. Jackson played the legendary private eye in the 2000 remake. 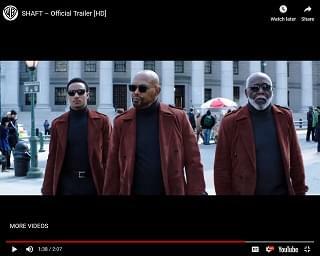 The first trailer for the new Shaft features both Jackson and Richard Roundtree,the original John Shaft in the 1971 action classic. It also introduces the third generation, John Shaft Jr, played by Jessie Usher, and his protective mother played by Regina Hall. Method Man is also in the film. Shaft will hit theaters on June 14th.